This is the fourth of the 2011 Summer School classes offered at Yarn in Hutchinson KS. The object of the lesson is to learn about embellishments – knitting with beads and embroidering on a finished piece. 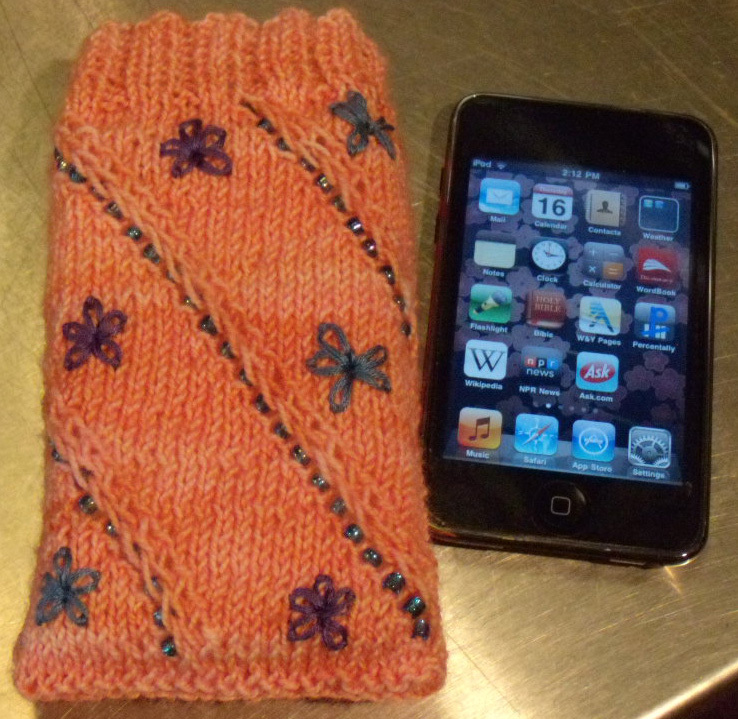 This little sock fits most smart phones and the iPod Touch. It has foam inside, to cushion your device. It is knit with sock yarn and beads, and I used embroidery floss to make the flowers and dragonfly. 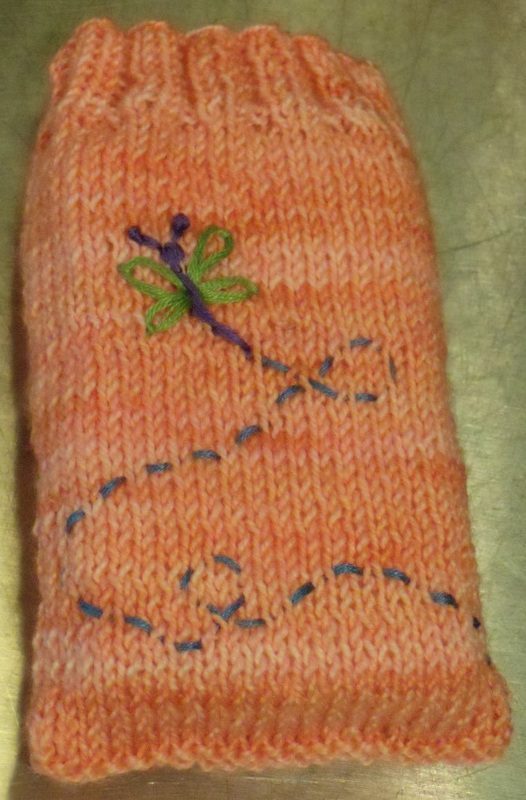 If you don’t want your sock to look so “cute,” you can knit beads on both sides and omit the embroidery. If you do not know how to embroider, there is a library of stitch videos at http://www.needlenthread.com/videos. You can also look on YouTube. ← I finally have a new pattern!